Give hope, Change Lives, be the difference! 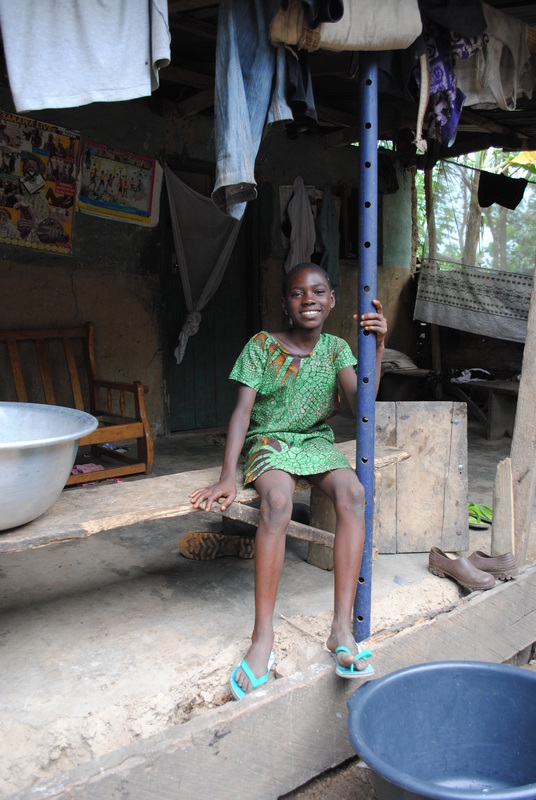 Join Humanitarian Aid Foundation for the Aid for African Children Fundraising. 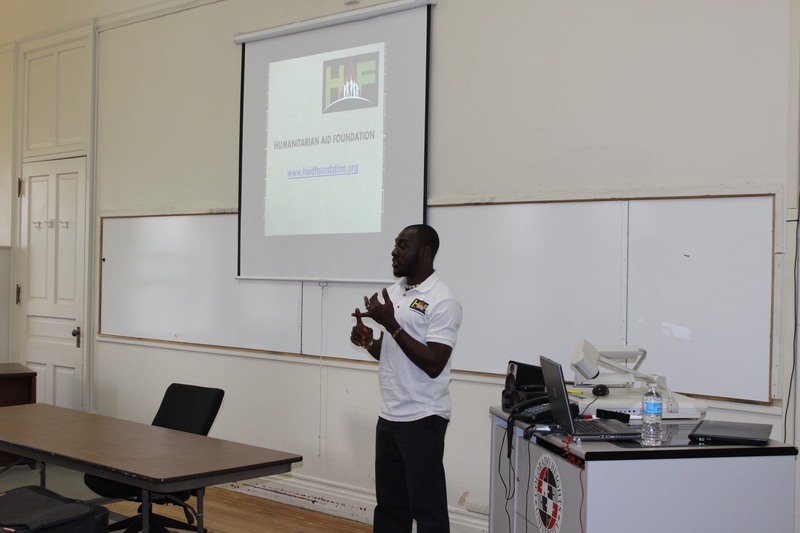 At the event will be Ghanaian food, African drumming and dance, souvenirs from Africa and a slide show of work being done right now to improve the lives of children and communities impoverished in Ghana, West Africa. The event is a fundraiser to support Humanitarian Aid Foundation, a Ghanaian-led 501(c)(3) non-profit organization working to address critical issues facing orphans, vulnerable children and communities in Ghana. A love donation of $20.00 is suggested. 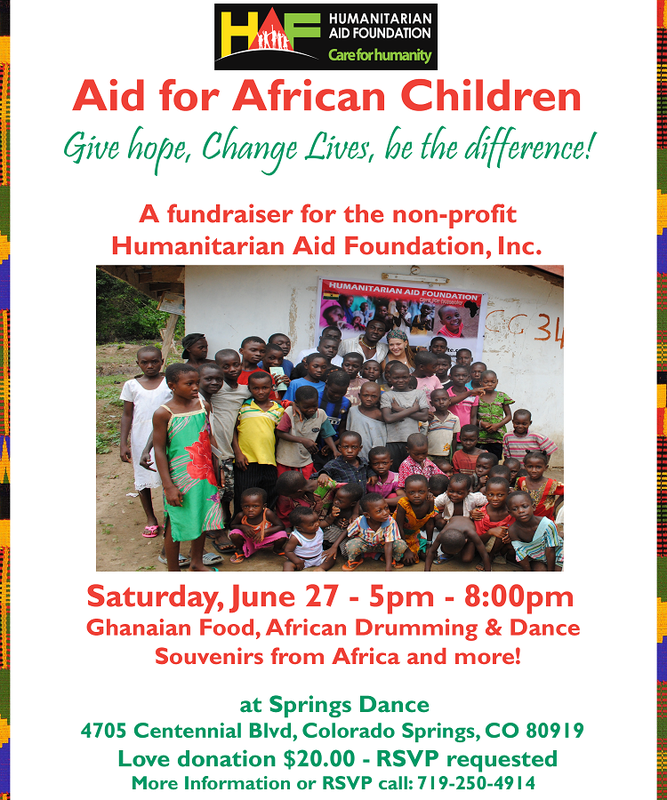 Come support and learn about the work of the Humanitarian Aid Foundation, enjoy live African drumming and dance, Ghanaian food, and check out some of our beautiful souvenirs from Africa. Everyone is welcome! Please invite friends and family for this worthwhile cause. 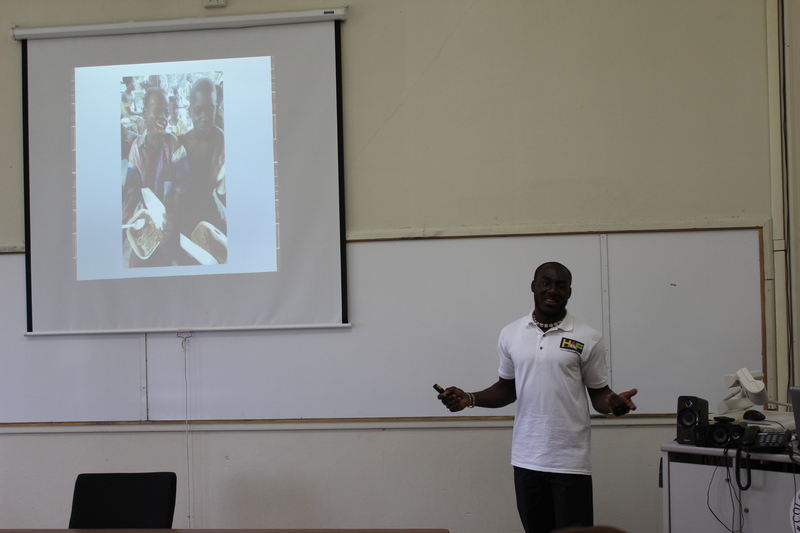 HAF’s Director Emmanuel, at the Colorado Heights University (CHU) presenting the amazing work HAF is doing right now to improve the lives of children and communities in Ghana. 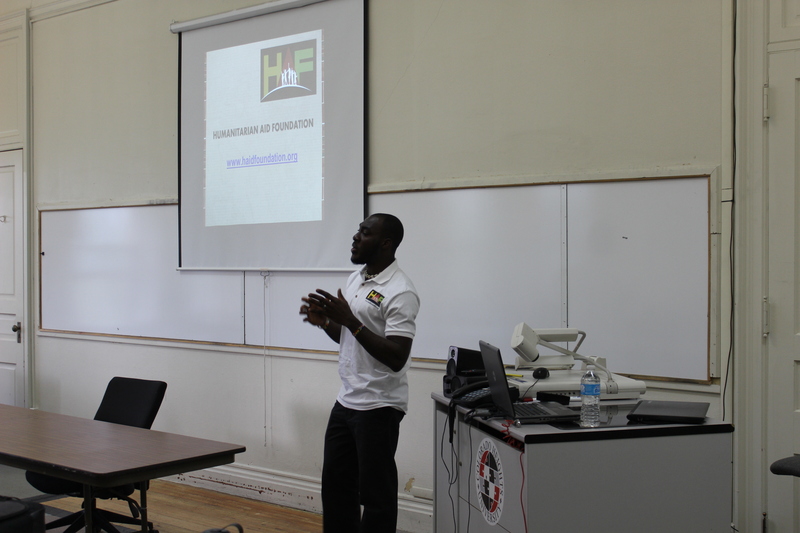 Overview of the presentation includes project activities, volunteer and internship programs offered by HAF, summary of the HAF Healthy Village Project and various opportunities for CHU students and faculty to get involved and work with HAF. 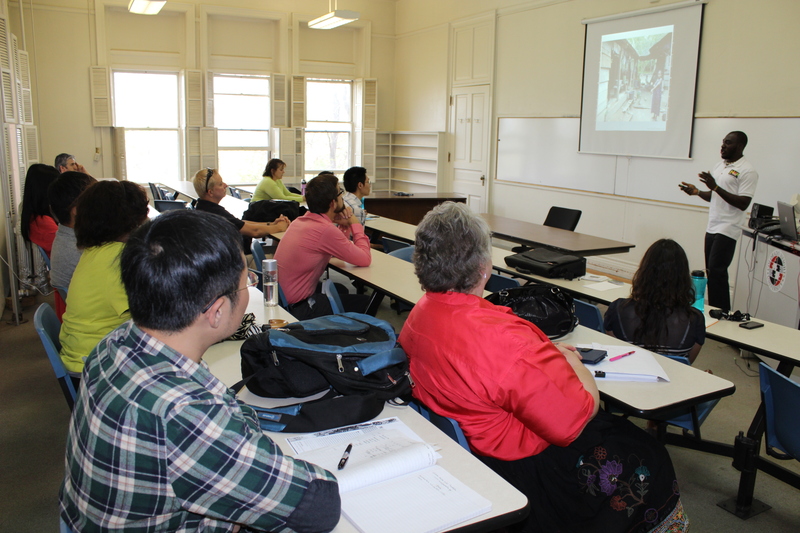 Thanks to the staff and students at CHU for your time and interest in becoming an HAF partner and supporting our mission. Volunteering; it’s a thing many of us consider doing, but an experience only the minority undertakes. If you know somebody who has traveled to a country such as Ghana, Kenya, Malawi or India to volunteer abroad, you have probably already heard about how incredible and life-changing it is. It is this, perhaps a friend or loved one telling you about a trip they took, that often the triggers the idea in our heads and makes us think, could we volunteer abroad too? Although the number of volunteers is on the rise, so too are the numbers of organizations and causes that need help. So, for those of you considering travelling to volunteer abroad, or for those of you that have never considered it until now, here is a list of five inspiring reasons to volunteer abroad that might make you want to take that final step. 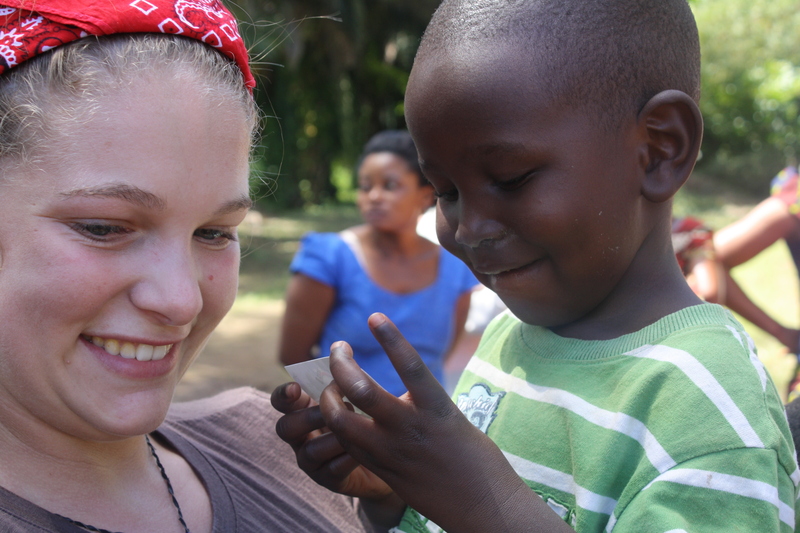 A big part of volunteering abroad is getting involved with the people you are there to help. Over the course of weeks or even months, depending on how long you decide to volunteer abroad for, you’ll get to know and become part of a community. In overpopulated Western countries, building this similar aspect of community can be tricky at best, with so many different faces around day in, day out, it’s hard to get to know everybody by name, let alone on a personal level. 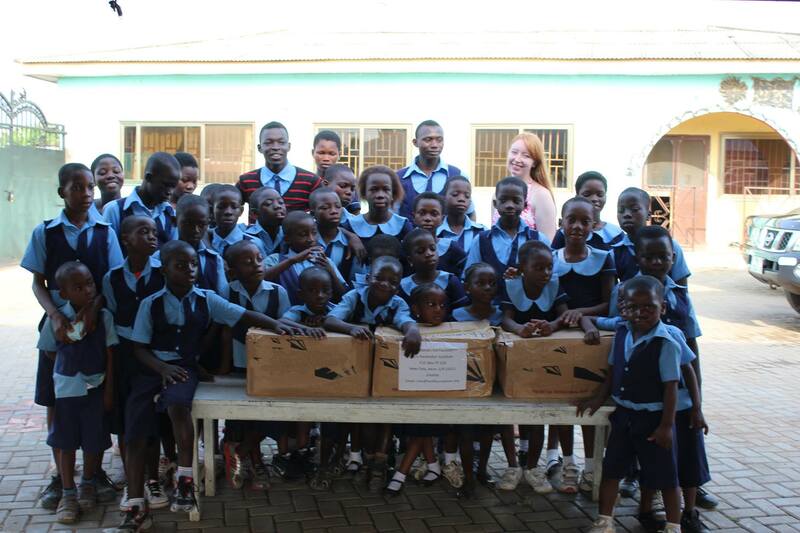 While volunteering abroad in countries like Ghana, however, this totally changes. The most vulnerable and struggling communities are often the smallest, and after a short time you’ll know who everybody is and everybody will know who you are. These relationships become very close knit, like being part of an extended family. So often in life, it can hard to feel like we are making any real impact. Doing a good deed is always nice, returning a lost phone to a stranger, buying a homeless person a cup of coffee, helping an elderly person up a steep flight of steps, these acts all help somebody and make you feel good. But, what if your impact wasn’t just a temporary thing, what if it not only changed some bodies day, but changed their life? To volunteer abroad is to change lives for the better. Whether it’s through community improvement, medical care, or education, volunteers help poor people in such a way that could easily be the biggest and greatest deed they have ever, or will ever, perform. One type of volunteering abroad, that is an excellent example for the point I’m trying to make, is the construction of homes for people who would normally be living in dank and squalid conditions. They don’t have to live like this and you can be part of building them a clean, sturdy, and safe home; a home they can live in for many years, even the rest of their life. That feeling you get after completing the house and seeing the unbridled joy on the faces of the family you have just helped is absolutely indescribable. 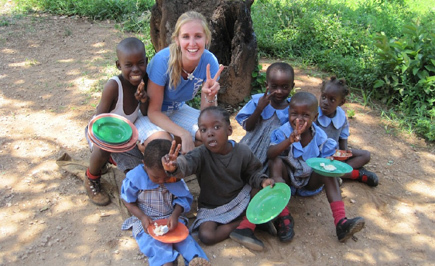 Volunteering abroad is a great experience that is beneficial to you and the people you help. But, after your time spent volunteering is over, you’ll find yourself in a new and incredible part of the world: a place full of wonderful culture, sights, and nature. 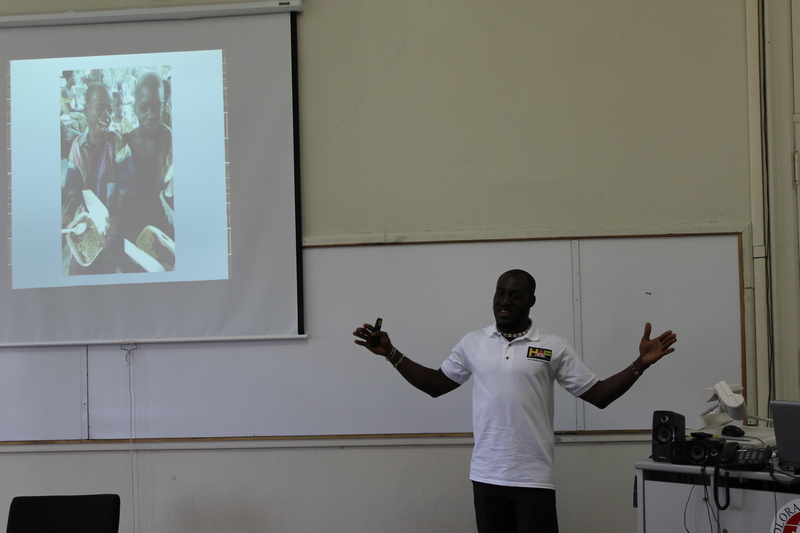 African countries, like Ghana, are popular destinations for volunteering abroad, but also come complete with hundreds of exciting things to see and do. For example, in Ghana, you have the vibrant cities of Accra and Koforidua to explore, tropical mountain ranges to hike, and some of the biggest safari parks in West Africa to discover. Life can often be just a bit too much. Daily stresses like work, family, relationships, and health can leave you overwhelmed, but one thing that volunteering in struggling communities can do is lend perspective. Volunteers often report returning home with not only a new lease on life, but a new understanding and appreciation for their own. Distance itself not only helps you to see things clearly, but to witness the plight of those in some of the poorest nations on Earth also allows you to see firsthand the struggles we, in the developed world, have never had to face. Volunteering abroad can be very fulfilling no matter what project you undertake, but if the project speaks to you on a personal and emotional level, you are so much more likely to take more out of it. Maybe you’ve endured the suffering a medical condition and want to make sure others are taken care of just as you were? Or perhaps you had a difficult childhood and you want to bring a bit of happiness to children who’ve already endured too much? You don’t have to select a volunteer program in this way, but if your heart is in it, if it means something to you before you even arrive, it can not only be a memorable and life-affirming experience, but a process of healing as well. 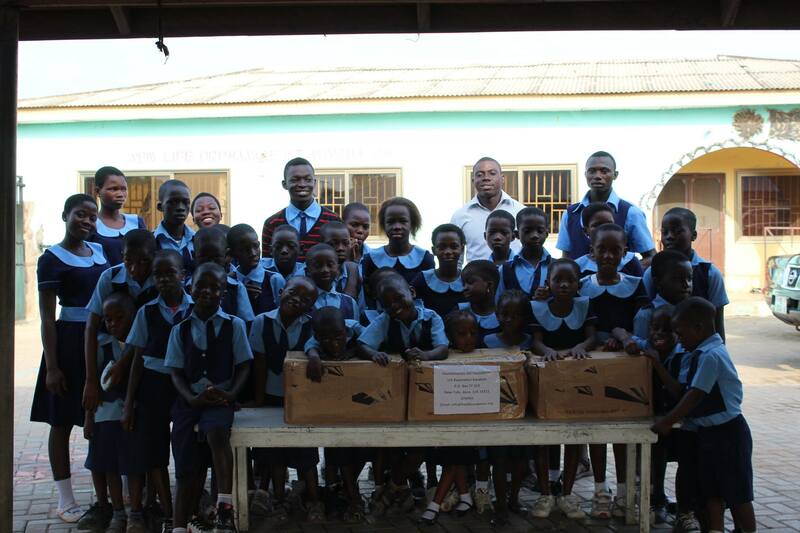 HAF partnered with the Inc Book Project to assist in addressing the educational need of children underprivileged and understaffed schools in Ghana. 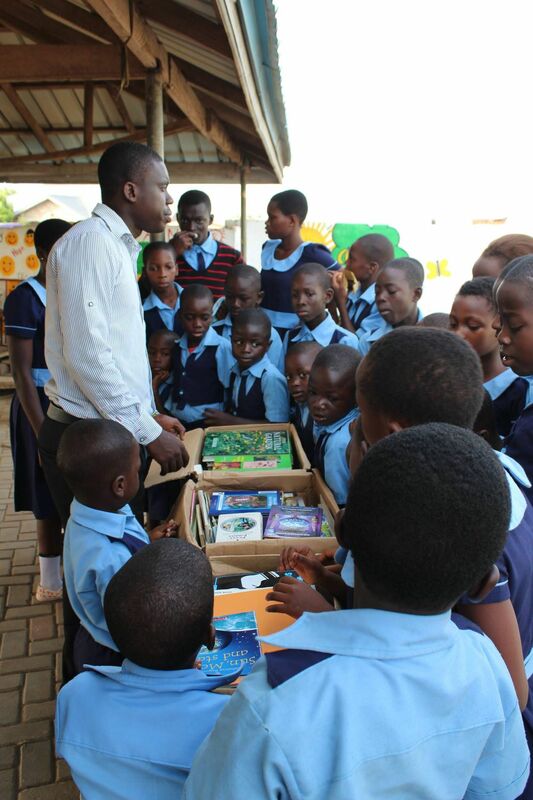 Through the partnership, we receive book donation to support our educational effort, ensuring that children and understaffed schools in Ghana can have access to quality educational materials enabling children learn to read, write and improve their learning skills and individual potential. 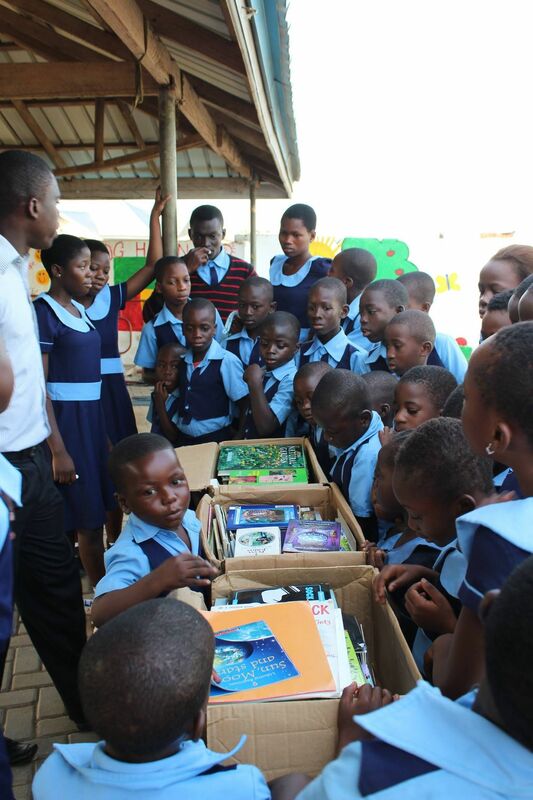 We recently donated boxes of books to the children at the New Life Orphanage in Accra, Ghana. This entry was posted in Uncategorized and tagged book donation, book for children in Ghana, education for children in Ghana. Join us on 19-20 November 2014 for our flagship event, the AIDF Disaster Relief Summit in Washington DC. The summit is an interactive, information-packed two days event, where you’ll hear the latest thought leadership and network with over 300 global senior-level executives from a range of industries. The summit strives to enable quicker and better response during crisis and catastrophes in a more effective, sustainable and cost-efficient way. This year’s programme focuses on best practice in logistics and transport, innovations in water security and ICT solutions for disaster relief – while also offering our sought-after discovery zone, simulation scenarios and unique pitch tank sessions.